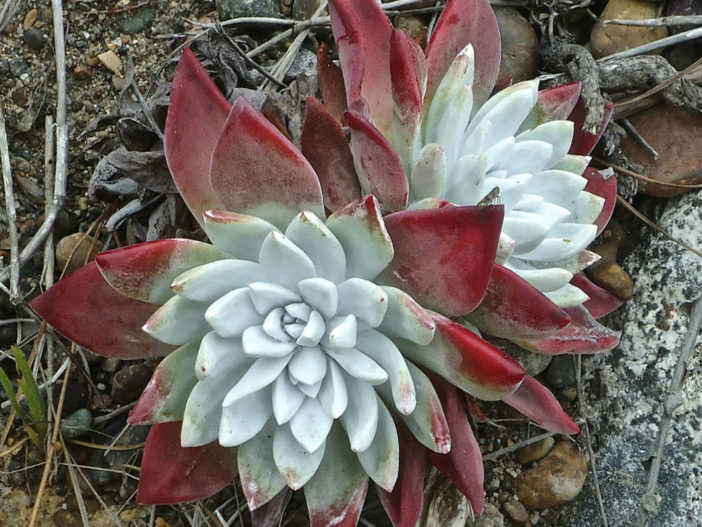 Dudleya farinosa is a succulent plant, variable in appearance from drab to spectacular. It grows from a branching caudex and forms a basal rosette, up to 2.4 inches (6 cm) in diameter, of wide, pointed, spade-shaped leaves. 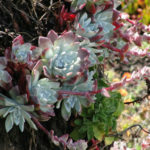 The leaves are generally very pale green but they often have edges or tips of bright colors, particularly bright reds. 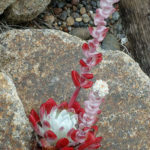 The plant erects a tall stem which is pale green with pink or red tinting, atop which it bears a branching flower cluster with many pale to bright yellow flowers. Most of the myriad habitats Dudleyas occupy become dry in summer. Therefore, it is important to cut off water to Dudleyas in your garden during summer. Plants grown in sandy soils or containers are exceptions. They will accept infrequent summer watering as long as the soil drains well. The onset of fall or winter rains reawakens Dudleyas from drought-induced dormancy. 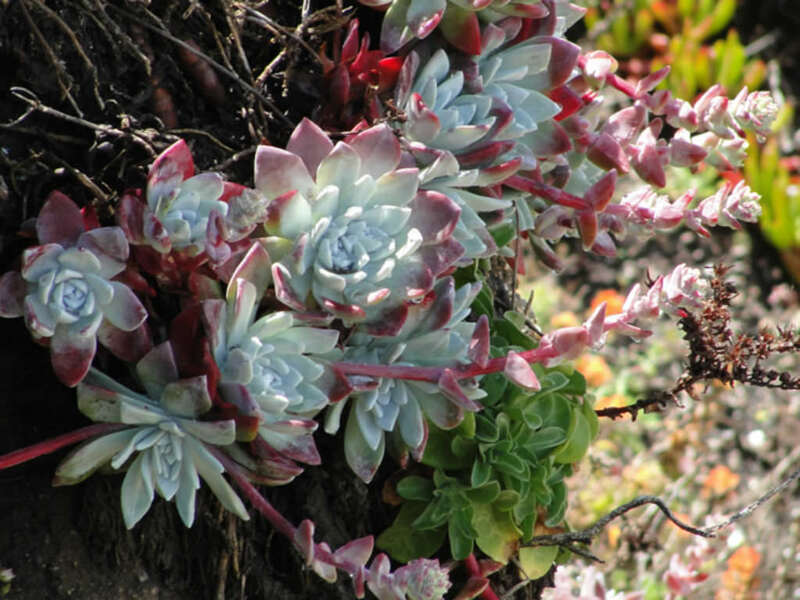 Their shriveled leaves plump up quickly, growth resumes, and flowering occurs during the next spring or summer. 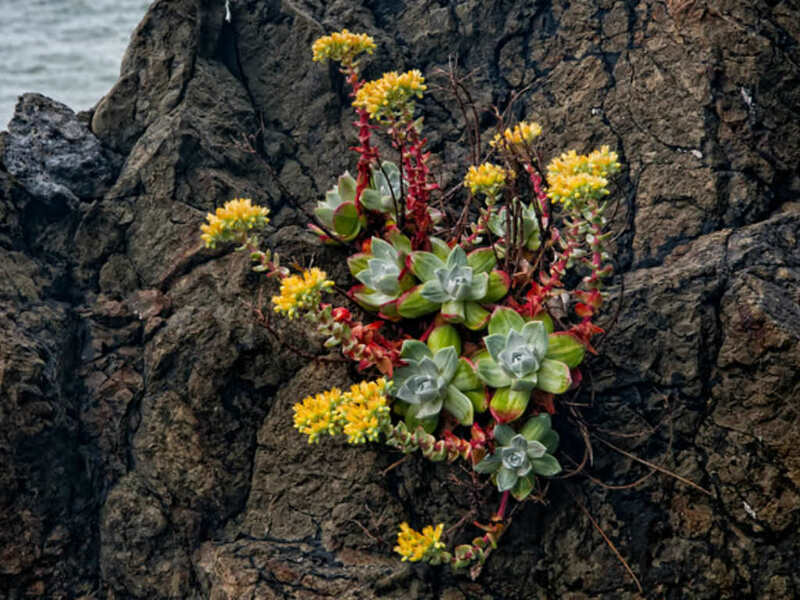 These plants are amazingly resilient. If a portion of a colony sloughs off a cliff face or is uprooted by a burrowing animal, it can persist for months until soil contact is reestablished. 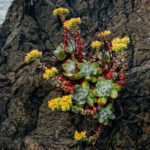 Species that naturally grow on ocean bluffs are also salt-spray tolerant. 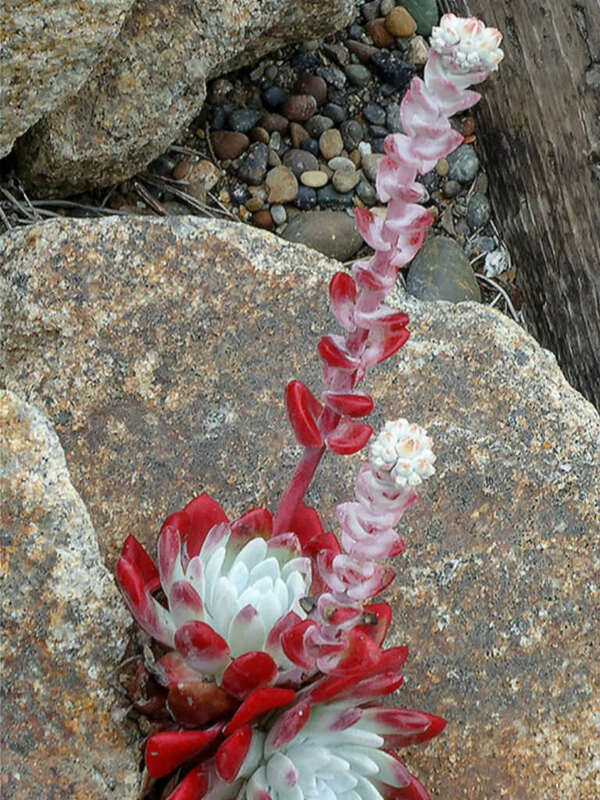 Dudleya farinosa is native to the coastline of parts of Oregon and northern California, where it is commonly found on bluffs and coastal hillsides.